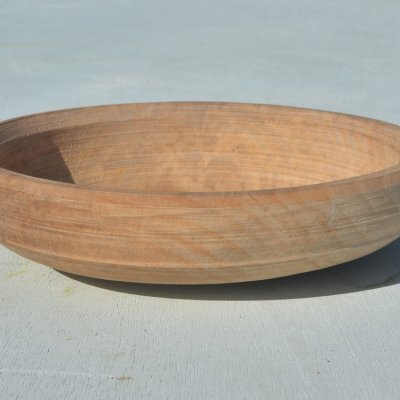 I make the smaller bowls on a simple pole lathe and the larger bowls on my self-built motor-powered lathe. 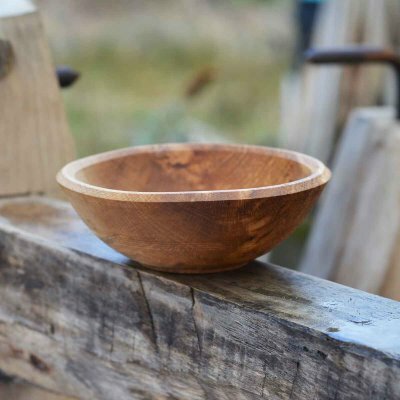 I use hardwood such as beech, sycamore, holly or oak which I have found locally. 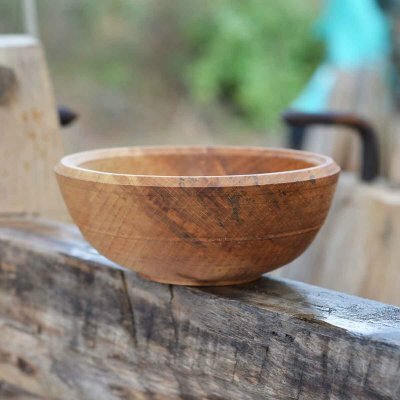 This 'green' wood is stacked for a couple of months to part season, which makes it easier to work and helps to prevent the bowl from twisting too much while drying. 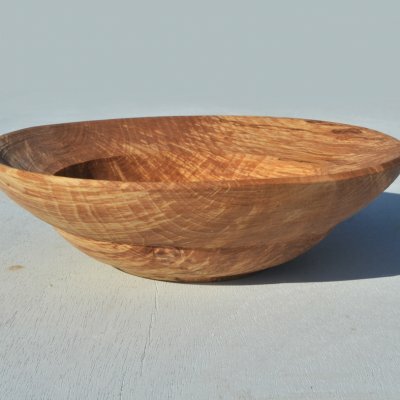 Once the shape is complete I then cut out the remaining cores with a hook knife. 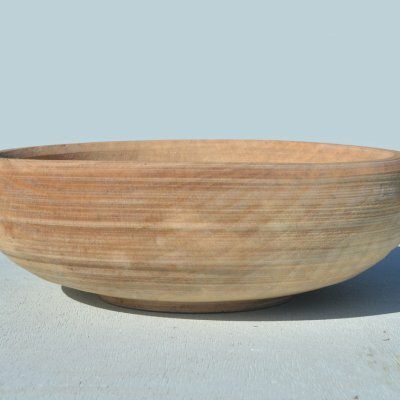 Then they are further seasoned for up to six weeks or more. 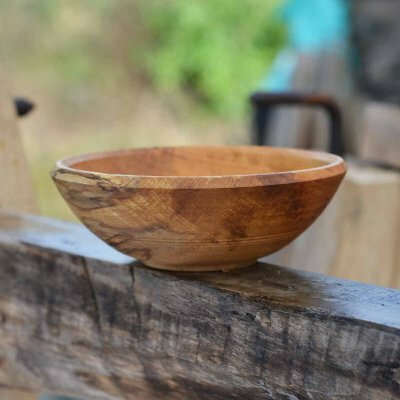 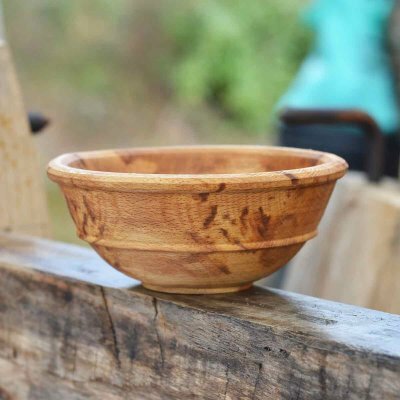 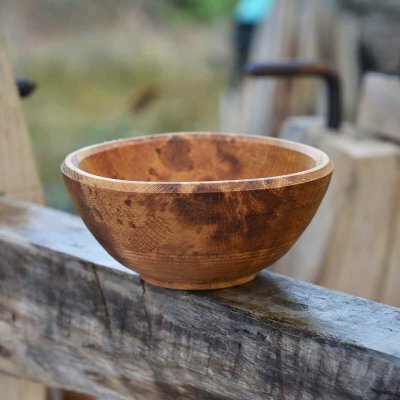 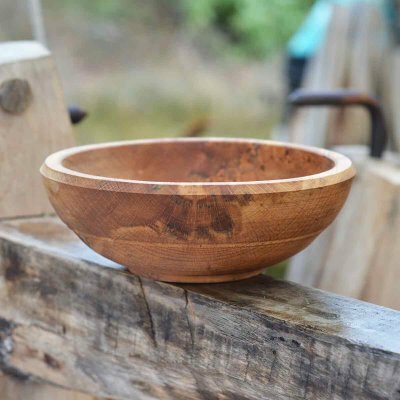 Once dry the bowls are finally finished with a coating of organic cold-pressed raw linseed oil.